Okay, now how many of you have always wanted to Create a cartoon character of yourself? I guess all the hands are up in the air by now. Come on, age is just a number, everyone loves cartoon, and most of you would also want yourselves cartooned in a spectacular fashion that you can proudly brag of yourselves. But why in the hell would you need to create a cartoon of yourself? Because it is cool! It is cool to have an illustration of your self in a funky way that could be proudly shown to the world. Cartoons are an other viewpoint of the real, and it is time for some imagination and fun. Isn’t it? So, now that you have decided that you want a cartoon of yourselves made so that you can show it to your friends, you don’t need to learn designing for this purpose. There are a few best ways to easily create a good looking cartoon image of yourself with little to no hassles. And did I say? it’s absolutely for FREE what you are getting. With these services you can make the best cartoon of yourself within a few minutes. So, let’s get started. The cartoonist.me ranks on the top do doubt for the features that it offers. The cartoonist offers two services for making a cartoon of yourself. One being a FREE version, that is good in itself and the other is a paid premium service. This is hand-made by their artists and delivered to you. You don’t need to feel low that the best service is a paid one. The Free service itself is in its own good. The paid service offers you a premium hand drawn cartoon of yourself which is widely used by many of the celebrities and influential individuals. You can get yourself started creating a cartoon character of yourself from here. Apart from adding cartoonish effect to your uploaded image, you can also add other effects like Instagram effects, add frames, artistic effects and many more. Face your Manga, although comes with a spooky name, it is derived from the Japanese word for comics or cartoons and animation. This is your second resort for making a cartoon character of your images. This is the one which I would personally recommend to those wanting to make a cartoon, given its vast resources and customization options. Face your Manga comes with an intuitive interface and is a fabulous platform for making a cartoon. 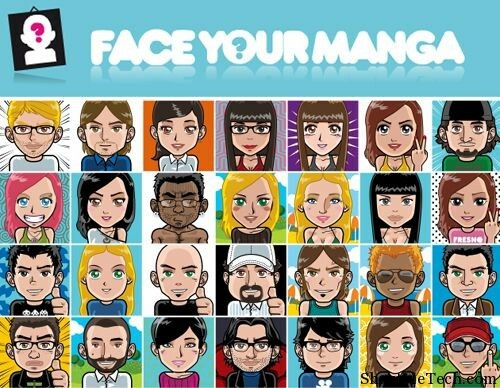 Face your manga is the most widely used service for creating cartoons and I’m sure you wouldn’t be disappointed after seeing what it has to offer, and it is absolutely FREE! Next up in line is WeeWorld. Much can’t be said about this service but just praises. Select your gender and start crafting your cartoon as per your wish. There are vast options for customisation and the choice is yours. 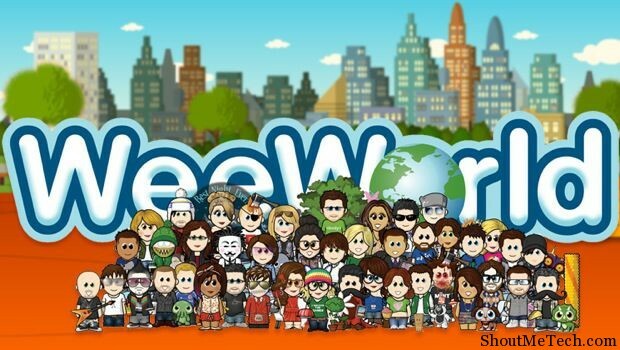 WeeWorld is a big network of cartoon enthusiasts and millions of cartoons have been generated through this service. Again, a must go-to place for those wanting to make a cartoon. Pick a Face is another lovely service for a personalized a cartoon character of yourselves. 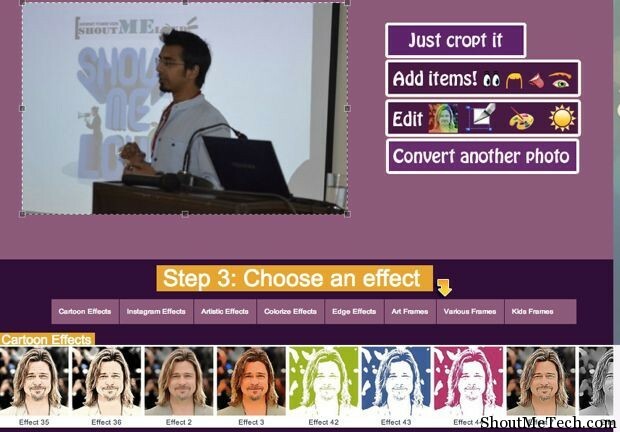 The best part about Pick a Face is that it lets you select a face created by other thousands of members, edit it by making minor changes to get your cartoon created much faster and better. You can start off with a face that is merely resembling or the one which would need little to no major changes and you get your cartoon created much faster than you’ve ever imagined! A must try site for creating your cartoon. 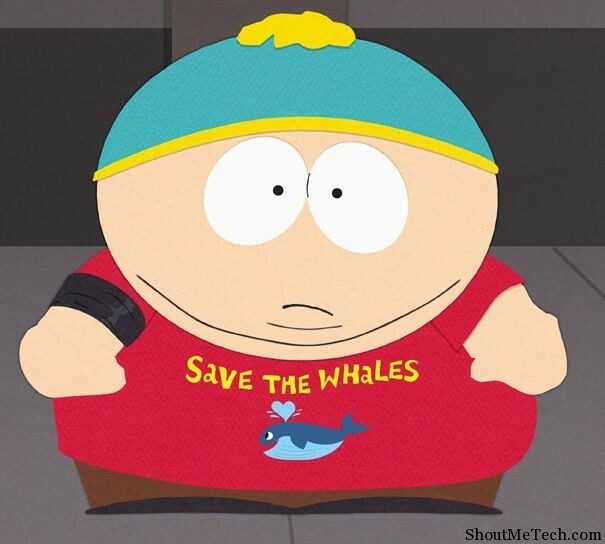 Are you South Park series fan? Look no further to this cool service that lets you make a south park character of your own with a lot of customization and an intuitive user interface. No, what you see above is just a pick from the series itself. What you will get in the South Park studios is a good full size cartoon made by you and customized extensively by yourself. 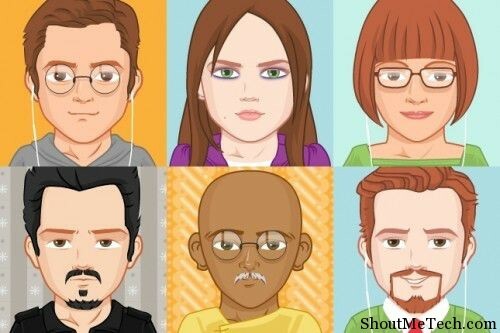 These are some of the cool websites which will let you create cartoon character of yourself. Which one did you like the most? Have any other suggestion that you would like to add to the list? Share your comments and thoughts on these websites below. If you find these websites useful, do share this article on Google plus and Facebook. Watching cartoons is really funny. And I guess how funny it would be to see cartoon version of oneself. Earlier, it used to be only for cartoonists and people having good designing skills. But I’m glad that there exists some apps ans tools that makes it easy for people not having designing skills. By the way nice list of info. Thanks for sharing ! Next post: Drunk Man Game : Play Online And Help The Drunkard! Previous post: WeChat: What Makes it Best WhatsApp Alternative?